One of the largest people of Ethiopia, the Amhara, mainly inhabit highlands. 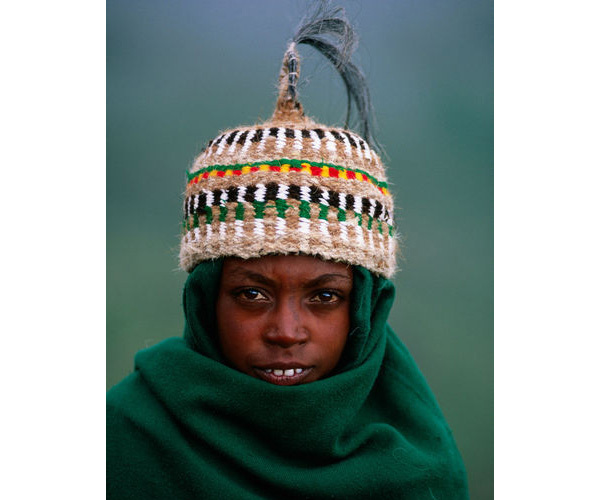 In the central part of the country the headwear is just an ordinary white scarf, an element of the national costume called the “gabby ", but in the north, in the mountains of Simien, you come across the curious round knitted hats with sort of shoelaces dropping on shoulders and an elegant vertical “tail”, culminating with a bunch of bird feathers. 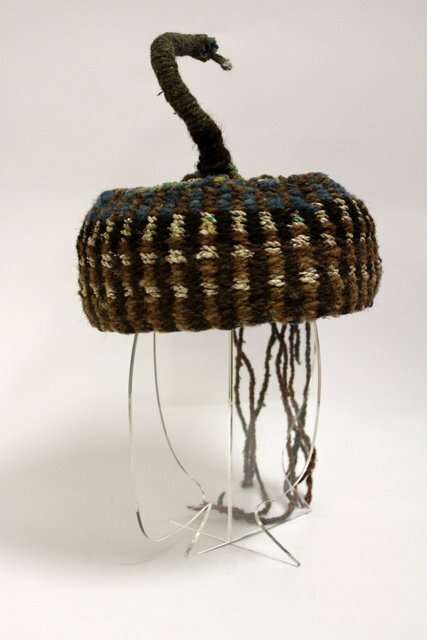 These hats are made from sheep wool: they are particularly useful in the winter when the temperature often falls below zero. It is curious that residents of the Simien mountains never see snow : winter is the driest season of the year.